For the more experienced, there is a direct assessment for the RYA powerboat Level 2 course, 1:1 half day. You can make this 1 whole day if you think that you may need a little extra training in some areas. RYA Powerboat Level 2 Direct Assessments are normally done on demand. If you cannot see your required date on the electronic calendar then please get in touch and we can add it for you, no problem!! The half day RYA Direct Assessment course is purely assessment and is not intended for training. For details of the syllabus that you would be assessed on please get in touch. The RYA Powerboat Level 2 course can be converted into the international equivalent (International Certificate of Competence – ICC) by simply filling out a form for the RYA that we can give you, plus joining their membership for the year. This enables you to hire vessels in the Mediterranean. You can read more about the ICC here on the RYA website. Myself and a friend have quite a bit of experience, can we do the Direct Assessment together? If you have quite a lot of experience between you then we can create a course to suit you. It may be that you only need 1 full day (rather than 2 for the full course) and you can then have a little training and it will be a continual assessment throughout the day. We can email through the syllabus of the full 2 day course for you to check and then you can let us know if you need to work on anything in particular. This goes for 1:1 as well. The Direct Assessment with no training is for 1:1 tuition done over a half day period only. This is for the very experienced who would like the license. No this license does not expire, however if you have not handled a boat for some time then we also offer refresher sessions. 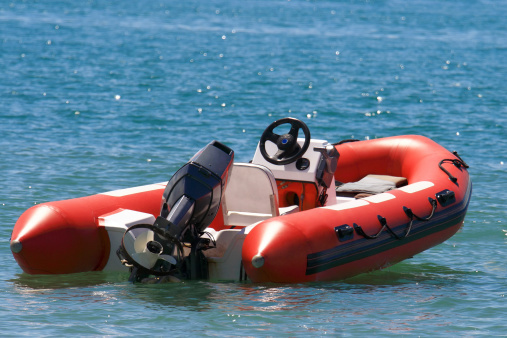 Can I hire a boat without the RYA Powerboat Level 2 license in the UK? 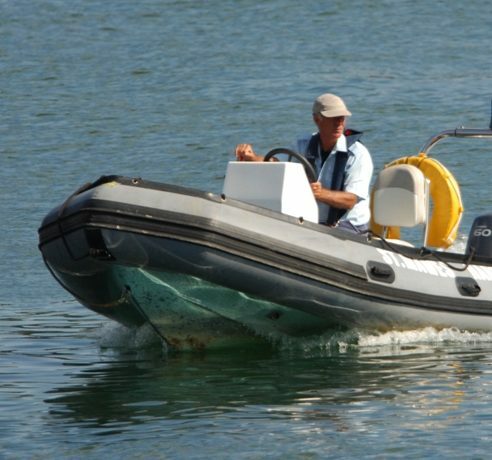 You will only be able to hire smaller motorboats with an outboard engine size of around 5hp. You will need the full RYA Powerboat Level 2 license to hire anything more powerful than this. What qualification do I need to hire a motorboat in the Mediterranean? You can convert the Powerboat Level 2 license into the International Certificate of Competence (ICC) by simply downloading the relevant form on the RYA website. (Please note that this system my be updated soon). You will just need your license number as this is registered on their database. We provide all the clothing and equipment you will need. You just need to wear plenty of warm clothing and we provide the wet weather trousers and jackets. Also all safety equipment. The only thing we do not provide is footwear so you will need to bring something that you don’t mind getting a bit wet due to either rain or spray. For your footwear you will need either deck shoes/trainers or wellies This will all be explained in your booking confirmation once you have confirmed your booking. I cannot swim is this ok? es this is absolutely fine. You will always be wearing either a buoyancy aid or a life jacket that will keep you floating if you do enter the water. We normally ask this question on the booking form but it is just for our instructors information. Can I buy anything to eat nearby? Yes there is the great Cafe Mylor which sells really good food and is open all day, 7 days per week or there is a great bar and restaurant called Castaways. Wonderful views for a coffee, beer or a bite to eat. Both are located within the harbour and a 2 minute walk away. In peak times you will need to book a table at Castaways.